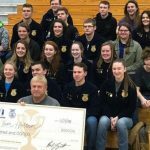 Catch up on local news from River Valley FFA, Northwestern FFA, Crestview FFA, West Holmes FFA and Black River FFA. 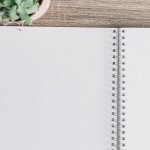 Cori Lee, of Marysville, Ohio, has been named the Ohio state winner of the 2019 GROWMARK essay contest for FFA members. Catch up on news from Black River FFA, Crestview FFA, Zane Trace FFA, West Holmes FFA and Northwestern FFA. Recognized for the impact he's had as an agriculture education teacher at Indian Valley High School, Dave Stiles could be Ohio’s first Golden Owl recipient. 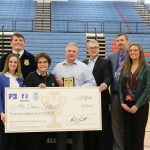 East Knox High School agriculture education teacher Tom Holton was selected as a top 10 finalist for the Golden Owl Award. 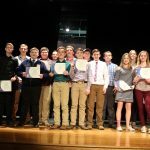 Catch up on local FFA news from United FFA, West Holmes FFA, Smithville FFA and Black River FFA. 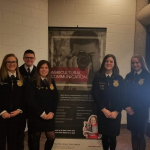 Catch up on local news from Norwayne FFA, the Northwestern FFA and River Valley FFA.